Yes! 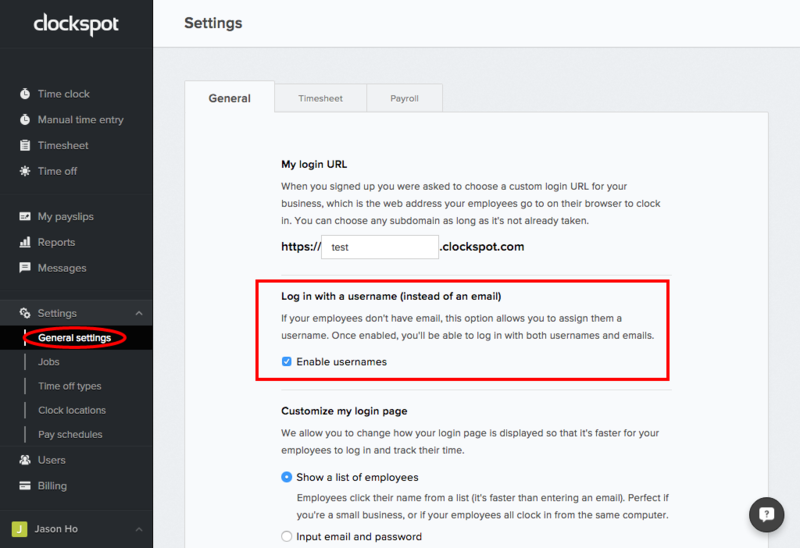 If your employees don’t have email, you can choose to log in with a username instead. First, enable this feature by going to Settings in the main left menu, then enabling usernames under “Log in with a username (instead of an email)”. Once you save changes, you’ll be able to enter a username whenever you go to add a new user or edit a user. Note that you will still be able to log in with an email, so both username and email work.